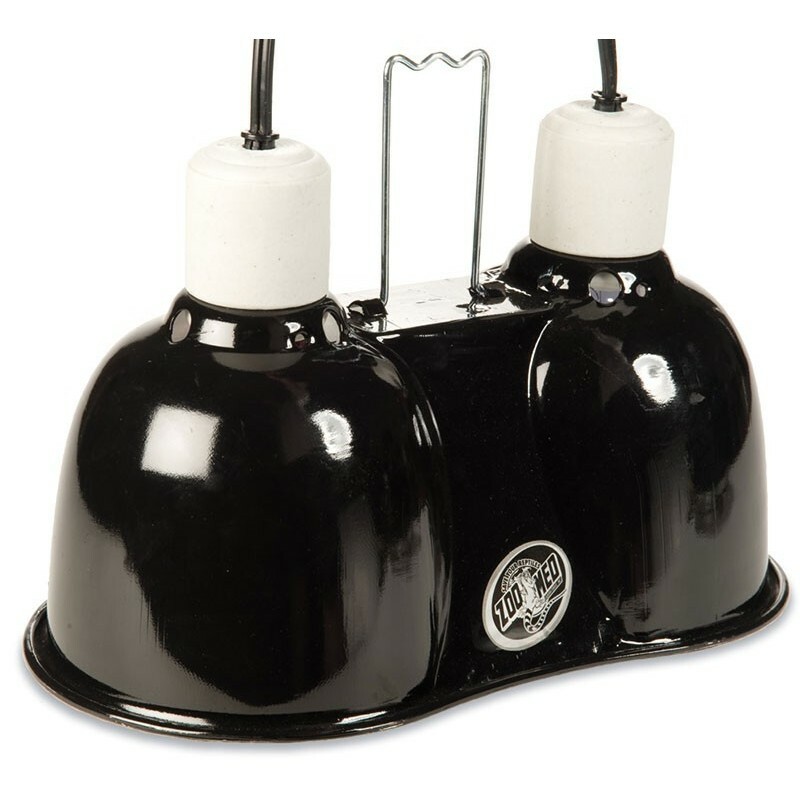 Two fixtures in one for maximum convenience! 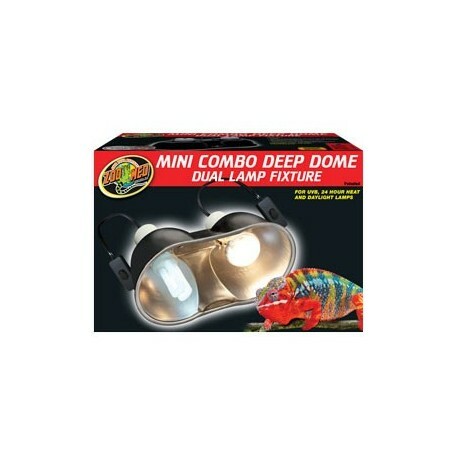 The dual fixture allows for one Basking Spot Lamp or 100w PowerSun UV Lamp and one Nightlight Red Heat Lamp. 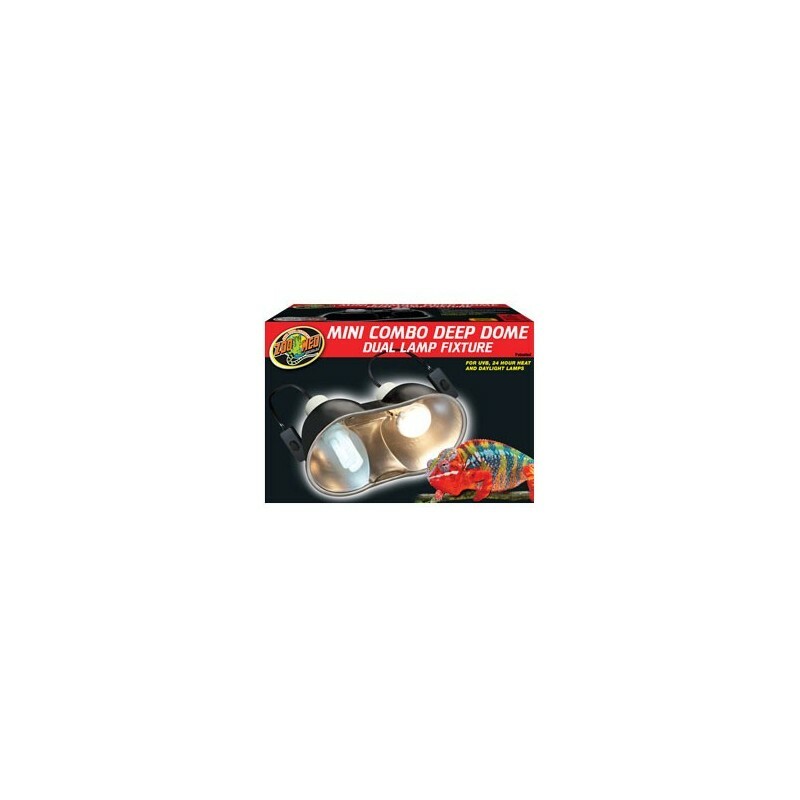 Polished aluminum dome increases light and UV output up to 30%. 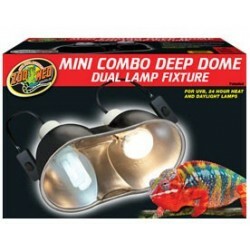 Additional Information: Use with Zoo Med's Reptile Lamp Stand (LF-20) for maximum safety.